The weather hasn't been as nice today so I've gone back to trousers and jumpers. I'm surprised we even had two days of sun so I shouldn't complain. I've been at uni all day so I wanted something comfy and easy to throw on. I brought these River Island tube pants last year but didn't wear them very often, but I definitely want to get some wear out of them this year as I do really like them! They are a bit too long for me as you can see from the material bunching up on my knees, but being small I just have to get on with it. 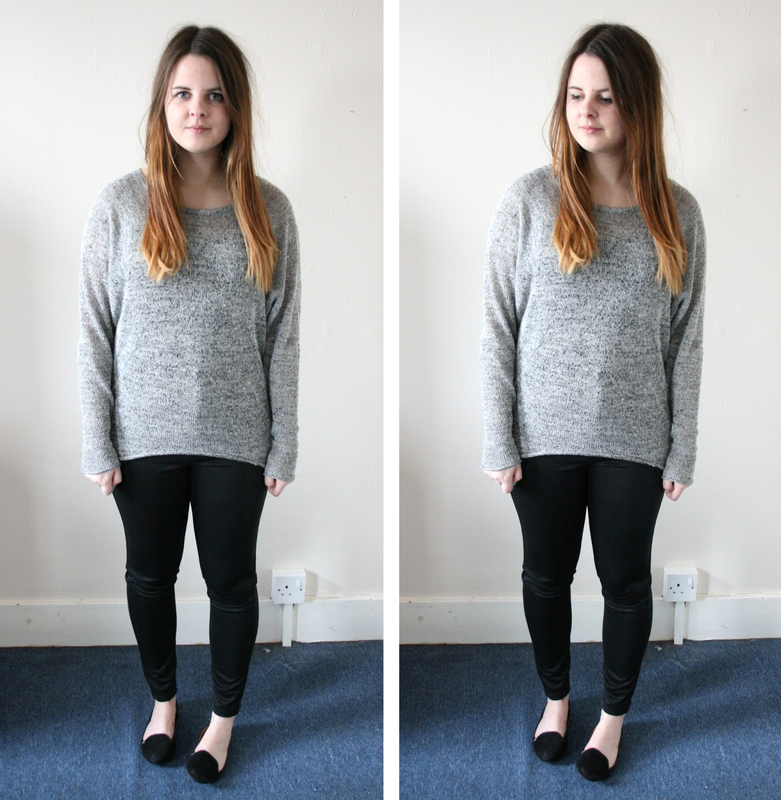 I wore them with my oversized Topshop jumper which I brought last summer, as it's so cosy yet still quite thin. Perfect for being stuck in stuffy lecture halls all day. gorgeous, i love the sweater.